North Star’s aunt Cindy was an awesome trail angel for us as we waited for Shutterbug’s knee to heal. Her daughter Caryn helped out too. Cindy housed us, fed us well, loaned us clothing, and let us borrow a laptop. Shutterbug’s favorite spot this past week was the couch, with a laptop on his belly and his knee elevated on pillows. We made good use of our time off the trail. One of our tasks was replacing gear that was too worn out from last year’s Pacific Crest Trail thru hike to survive long on the AT. We got a few new small items, and two major items. Gossamer Gear is sponsoring us on the AT and sent North Star one of their new size small Gorilla backpacks. Big Agnes liked our PCT campsite video so much they gave us a new Fly Creek UL2 rain fly and tent body. Yay for new gear! 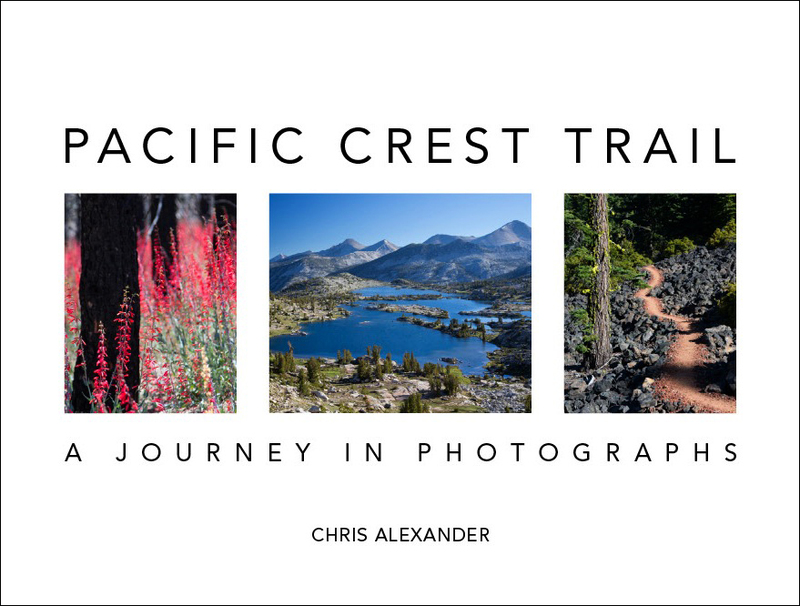 We also did some PR work for our PCT photo book. We’re very proud of the book and we spread the word when we can. As Shutterbug’s knee pain lessened, we took short test walks around the neighborhood to get a sense of his progress. After 9 consecutive zero days we decided it was time to return to the trail. Cindy and her partner Tim drove us back to the trail. We felt physically and mentally rejuvenated after our time off. The weather was much improved compared to the day we’d left the trail. Now it was warm and dry without a trace of snow. We both hiked in t-shirts. It was hard to believe that just over a week ago we’d been cold despite wearing every piece of clothing in our packs. We began to see the first few signs of spring. Rhododendrons were sprouting new leaves and buds. We also noticed a definite increase in the number of birds near the trail. Their songs delighted us. Though most of the forest still lay dormant, it was exciting for us to witness these hints of springtime. We walked slowly and carefully to avoid re-injuring Shutterbug’s knee. The knee felt good – no pain! We covered only a few miles but were very happy to be back on the Appalachian Trail. So glad you are feeling better Shutterbug and that you are both back on the trail! Happy Spring! Seems like it was meant to be…the knee forced you off the trail so that the weather had time to improve and get warm. It was like: the knee knew best. That’s awesome that Big Agnes sponsored you because of your video (it was that video that led us to your blog in the first place!) Paul and I just bought a Big Agnes sleeping bag –a double one built for a couple..hopefully that keeps me warm on the PCT! I love your pink shirt, North Star! So glad to hear you are feeling better:) I sprained a knee hiking in Yosemite and of course it happened right before the trail was all down hill. Congrats on getting back on the trail! The snow in your last post was shocking! Looks like easier going now. Got my fingers crossed! Go slow and stretch! By the way – everyone absolutely loves your book. I bought five to give as presents. The pictures are stunning. Really well done guys. Yeah! So glad to hear you’re back out there! Can’t wait to hear more of your adventures!! Yay for being back on the road! I would be a mite riled if my Southern kin in Carolina showed you anything less than the heartiest TLC! (Raleigh born, Salisbury raised, now attempting to convert New Englanders to eat more grits, biscuits, gravy, and pulled pork!) Happy trails! 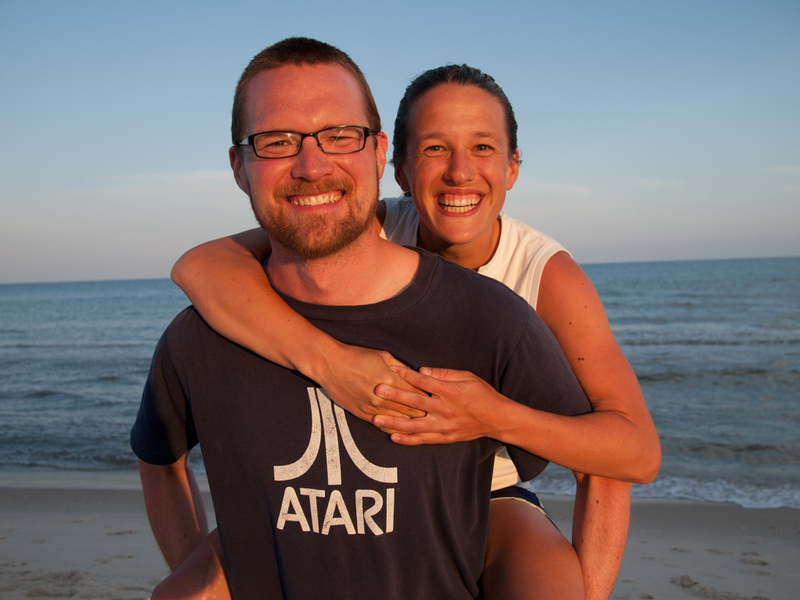 Glad to hear that you are back on the trail together and that Shutterbug’s knee is better. Look forward to following you onward to Maine!!!! Yay! Go Shutterbug’s knee! Hope things are going well today and that each day gets easier. Glad to hear the weather & knees are looking good! Enjoying your posts- happy hiking! I’m so glad spring has finally begun to show its face in that part of the world! And I love the ice on knee photo–it’s a classic. North Star, your new pack looks great. Now I’m waiting for the first picture of the new tent. I showed your book to another friend at work and she immediately bought a copy. The pictures in it grab people in a very special way. Everyone says it feels like you could just walk into the pictures, they have such a special three dimensional quality. Hey there, this is Professor. It was a real pleasure meeting you guys on the AT back at the Cheese Factory site. I’m off the trail now but most likely will be meeting up with Burrito, Doc, and Cabbage Patch at the end of May, so maybe we’ll meet again! Your PCT book arrived in the mail the other day, and it is just gorgeous. It’s currently occupying a coveted spot in our living room for all of our guests to see. Glad to see you’re back on the trail. Looking forward to keeping up with all of your adventures. nice to hear there are supportive and kind, giving people who want to watch over you hikers as you heal. Life giving spirits, eh what?